Epson launched New 3LCD Home theater Projector with 4K support feature. Epson has launched the new home theater projector EH-TW8300 with support for 4K content and HDR. 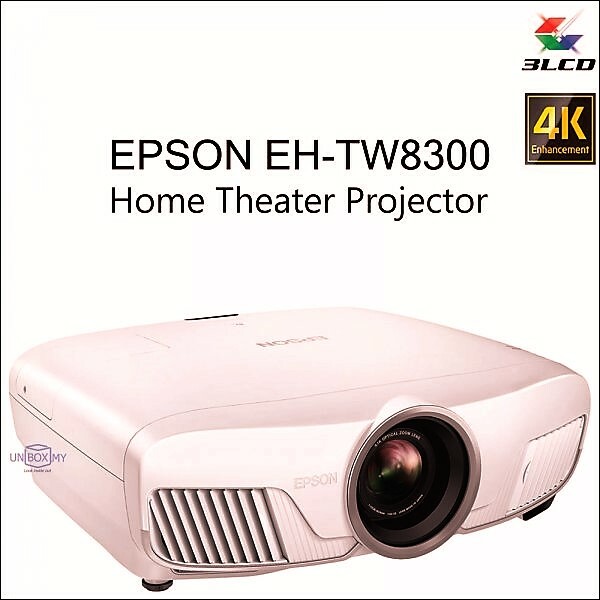 The new model will replace the previous home cinema projector Epson EH-TW8200. The new home theater projector offers 2500 lumens of white light and 2500 lumens of color brightness. The projector is designed with a dynamic contrast ratio of up to 1,000,000: 1 and has a high dynamic content, with bright colors and ultra blacks. Epson Detail Enhancement technology refines the surface details for high-resolution images. Users can adjust the levels of sharpness and detail enhancement for an optimal display. Key Features of home theater projector EH-TW8300.